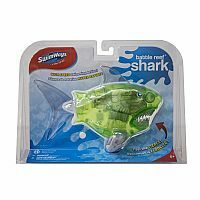 The SwimWays Battle Reef Shark is a motorized shark toy with high-speed swimming action and futuristic, robotic styling. Activate the shark by pressing the button located on the side, then submerge it in water and allow the body to fill with water. Once filled, the Battle Reef Shark will balance itself and swim! 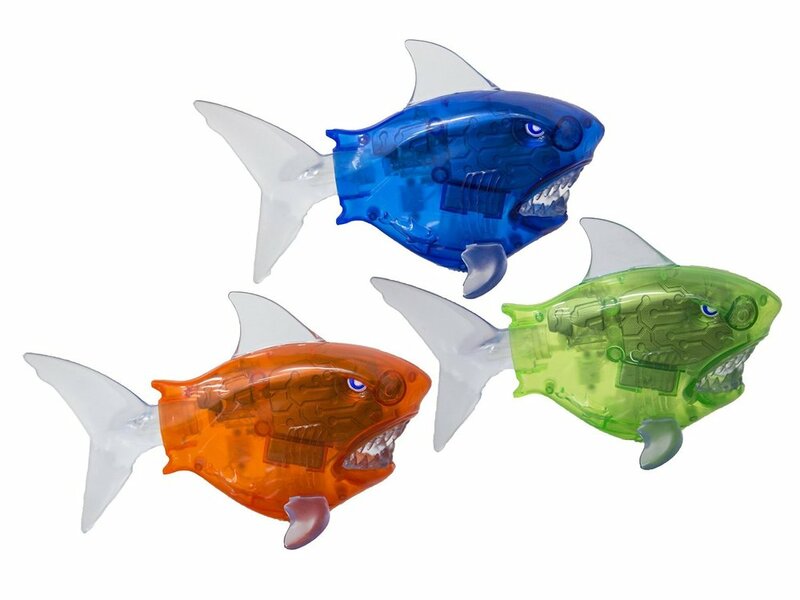 Kids love the action and the fierce details: a visible brain center, menacing teeth, power prop tail, and colorful transparent body. 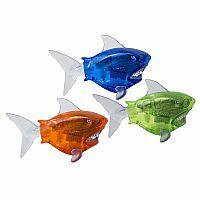 Fun to play with and great for swim practice too! Requires 2 x AA batteries (not included.) Sold individually. Colors may vary. Ages: 5+. 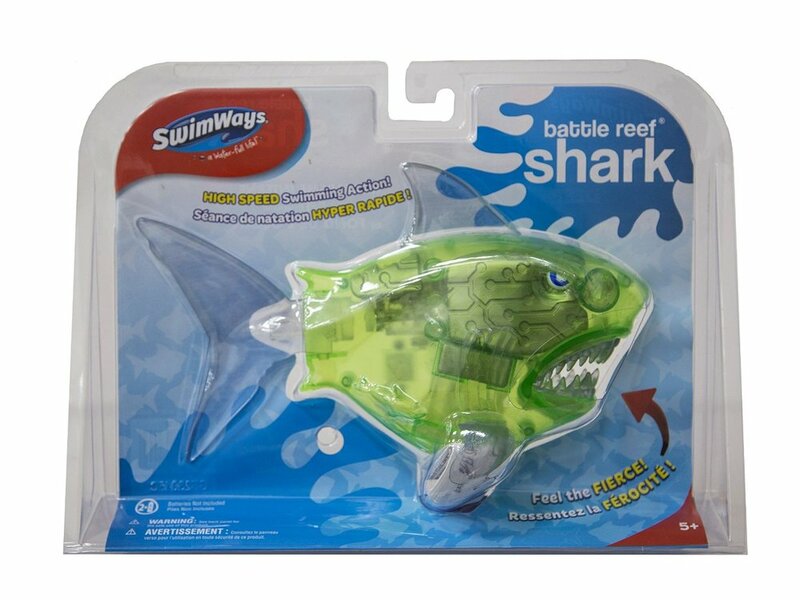 The SwimWays Battle Reef Shark is a motorized shark toy that swims!